Many readers asking about the adjustment program or software resetter for Epson R360 in this blog. Actually OrTHoTaMiNe have uploaded the Epson resetter in his Mediafire account but still many people do not know about it. 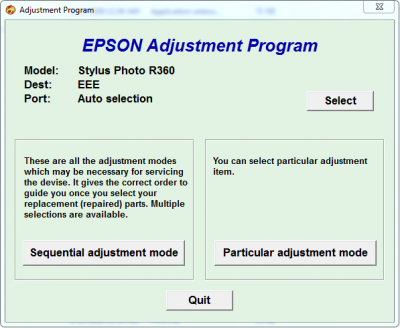 Now I want to share download link the adjustment program R360 info on this blog but I do not know this program work or not in Epson R360 because I have not tested the program at the Epson printer version. The Epson R360 is a Photo printer with CDR/DVD Printing functionality. This printer can print directly onto CD/DVD using the special tray provided. The R360 uses 6 cartridges with high durability ink which is designed not to fade and readily copes with all sizes and types of paper. 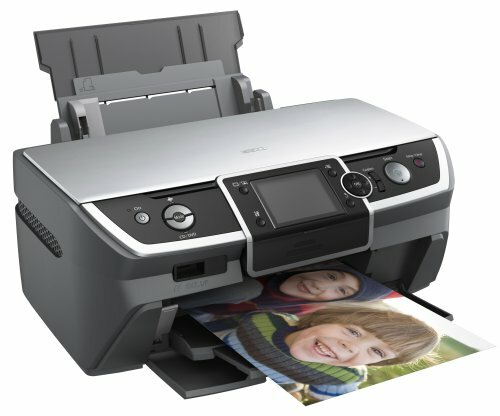 This printer also equipped with 3.5 inch LCD screen and memory card slots to print without computer. Related to "Adjustment Program or Software Resetter Epson Stylus Photo R360"
I have a 360 printer…….but this adj program for epson 360 not work!! Other solutions? ?